Postcard App - Postando - Your pictures as real Postcard! 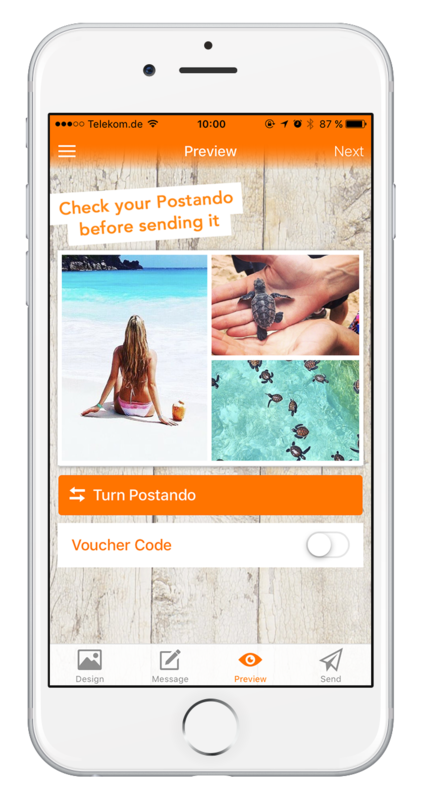 As a holiday greeting, for a birthday, for Christmas, as an invitation card or for any other occasion - with the Postando postcard app, you share your best moments with your loved ones as postcard or greeting card! 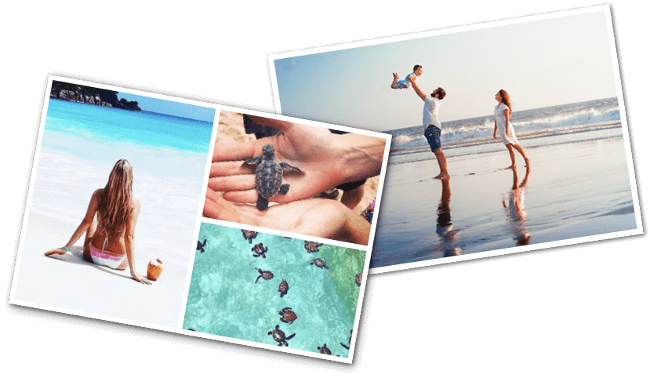 Simple and reliable, you can create postcards online and send an everlasting memory in just a few moments, which will bring the recipients a smile to their faces. 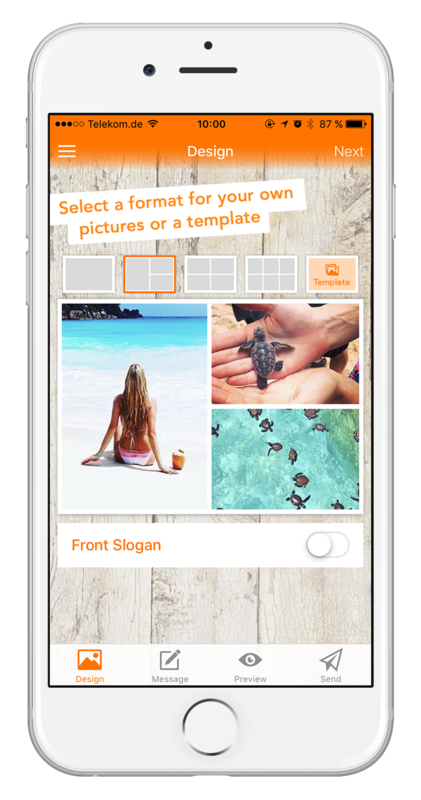 Customize your personal postcard with your own photos. 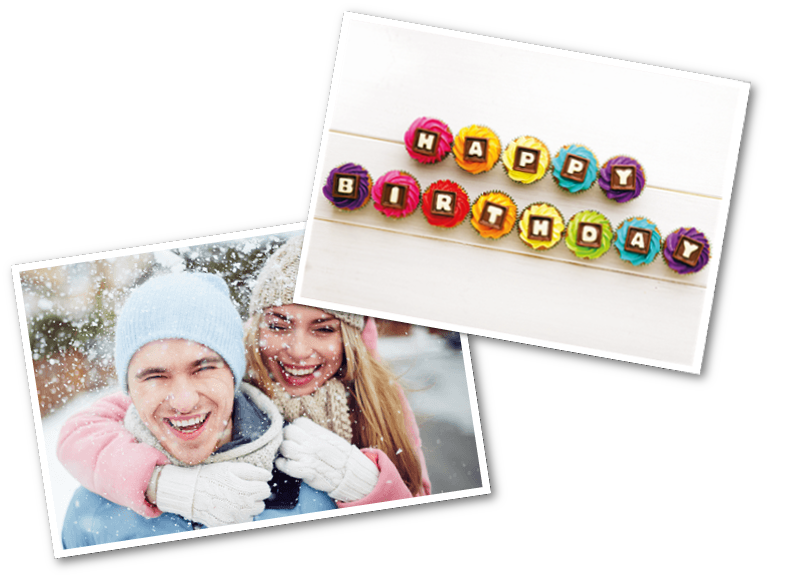 Alternatively, you can also use our great templates to create a greeting card. Create your own postcard in just a few steps, and it’s easier than you think. Sending your personal postcards has never been easier! Act sustainably with our carbon dioxide friendly paper and carbon-neutral transport. We renounce ozone-damaging UV varnish at the production of your individual postcard! 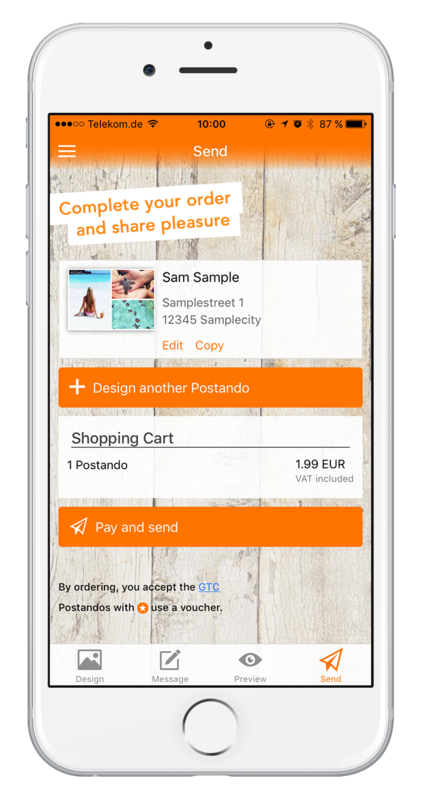 Our goal is to make the Postando postcards app as intuitive and easy as possible. In just four steps you can send your own pictures as a real postcard. Select the format of your Postando and use your own photos or our numerous templates. Type your personal message and select the lucky receiver of your Postando. Check the front and the back side of your individual Postando before finally sending it. 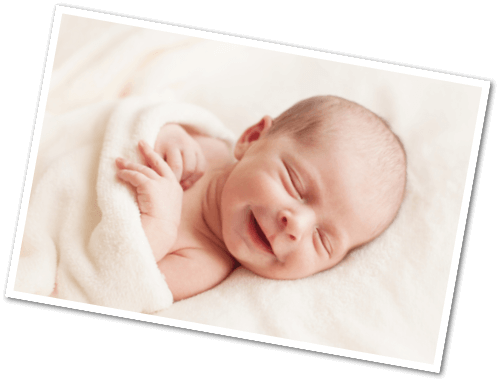 Pay & send your Postando and bring the recipients a smile to their faces with the shipment of your real postcard. 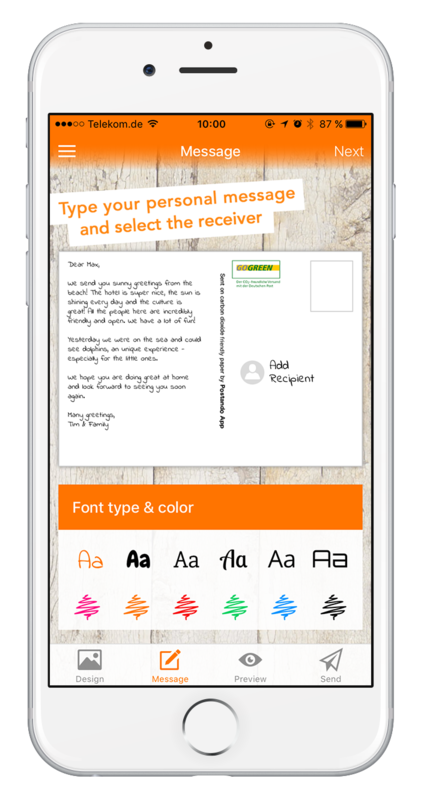 With our app, you can not only create postcards online and send them to your loved ones mailbox. We also regularly offer great price games and promotions, where you can win for example all-inclusive holidays or travel vouchers. Follow us on our social media channels (Facebook and Instagram) and learn about the latest price games, special offers and news about our company or our partners. You will also find a lot of great content about our motto: Simply Share Pleasure. You can find our travel blog HERE. At the moment only in German, but will be published soon in English.